Self Cure Remedy details of Take apple cider vinegar for the care and relief of Heartburn, including effectiveness and popularity scores of the remedy. 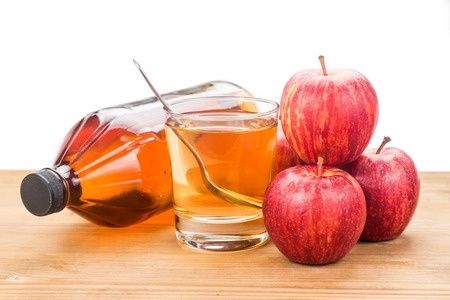 Taking apple cider vinegar may help balance your stomach pH by neutralizing stomach acid. Take a tablespoon of apple cider vinegar with a glass of water. The self cure remedy of Take apple cider vinegar for the care and relief of Heartburn has an effectiveness score of 3.2 and a popularity score of 70 on the self-cure system.